Watching the growth of a band from the ground up can be an exhilarating thrill-ride – the maturation process as musicians shed their influence cocoon to blossom into their own entity. 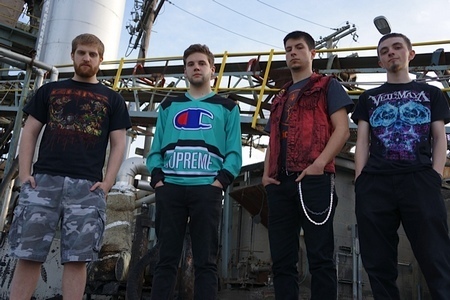 For New Hampshire’s Epicenter, they would be the first to admit that their debut full-length Grab the Reins consisted of their first songwriting forays, establishing a groove-oriented thrash platform that while very strong possessed many easily identifiable reference points in terms of influences and songwriting perspectives. The quartet feel confident to take their collective abilities and road work seasoning to new heights on the follow up Subversion – and the results should pay massive dividends in proving that Epicenter can step up to that next national/international level of respect and admiration beyond their thrash roots into progressive, groove, and modern/extreme layers. Stepping up all elements as far as riffing, intricacies, hooks, and dynamics, it’s not as if Epicenter completely forsake their Bay Area-oriented affinities – the heads down speed charge for “Wolves” and twisted “The Collector” alerts the listener to their biting, vicious dual rhythm attack and equally engaging tempo shifts sure to make pit mavens froth at the mouth. Guitarists Ryan Burke and Jared Towne fill the space with searing, passionate lead tradeoffs and crunchy creativity, injecting a bit of that Vektor/Revocation progressive spirit right out of the gate for “Transcendence”, holding court with the elite of the genre by intertwining odd chord sequences against fluid leads one minute, then turning on a dime into more jagged hook sequences that speak to a love of Gojira, Meshuggah, or Veil of Maya. 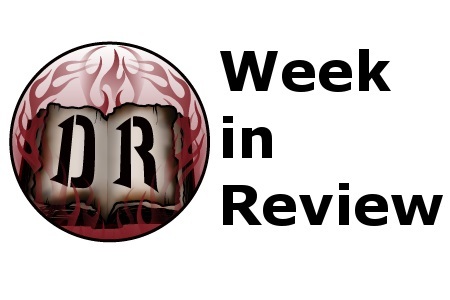 Bassist Steve Foley and drummer Zach King open themselves up to Latin/jazzy nuances for another highlight “Firepower”, especially in the hypnotic instrumental intro before the arrangement gains steam. 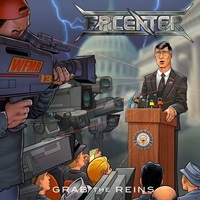 “Drones” may throw people for a bit of a loop, the robotic voices and doomier riffing giving the listeners a reprieve of sorts from the faster material on hand, the main vocals more scream-oriented but proof of Epicenter’s ability to genre-hop effectively while keeping things into a solid, cohesive, and established style. Even the production values courtesy of Daniel Florez at Getaway Recording has been stepped up a couple of notches – the tones and fullness slicing and dicing through the mix. Zach as a drummer and a vocalist levels up to the challenge of combining both duties seamlessly – not an easy task as he verbally keeps up with the frantic pace of the material, but seriously it would be odd to take this material in with another vocalist. 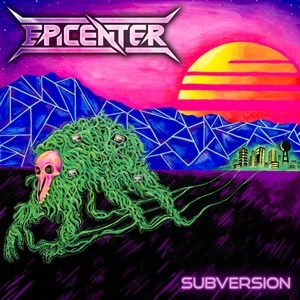 Subversion puts Epicenter in rarified progressive thrash classification, because they understand how to establish grooves/hooks while being musically savvy and interesting. Who says everything has already been said in this genre? Not this scribe- and definitely not Epicenter, kudos for a killer record.